Macrophage. 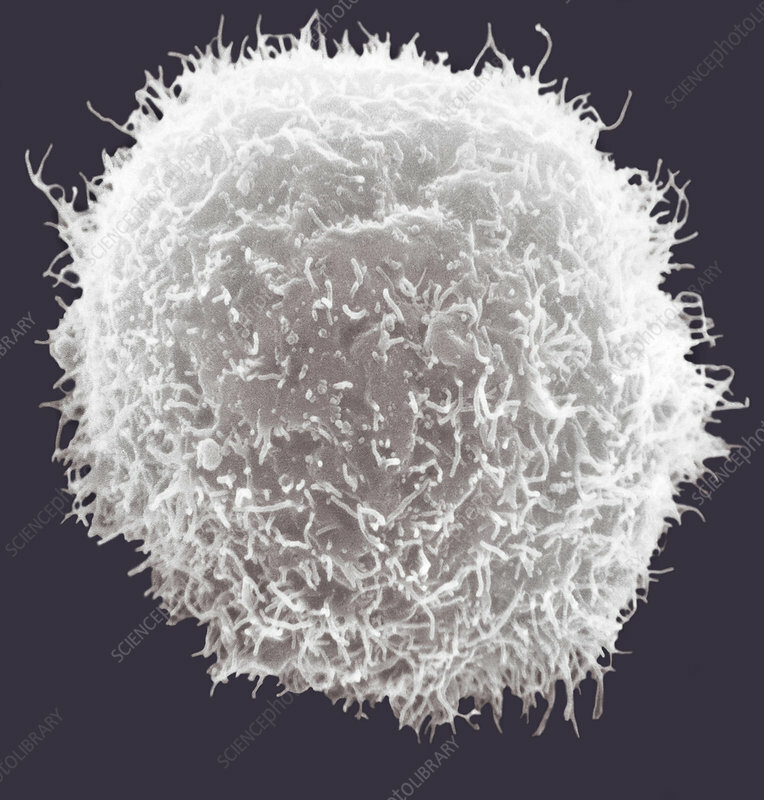 Coloured scanning electron micrograph (SEM) of a type of white blood cell (leucocyte) called a macrophage. Macrophages are cells of the body's immune system that are found in the tissues rather than in the circulating blood. Macrophages recognise foreign particles, including bacteria, pollen and dust, and phagocytose (engulf) and digest them. They also play an important role in stimulating other immune cells to respond to infection.